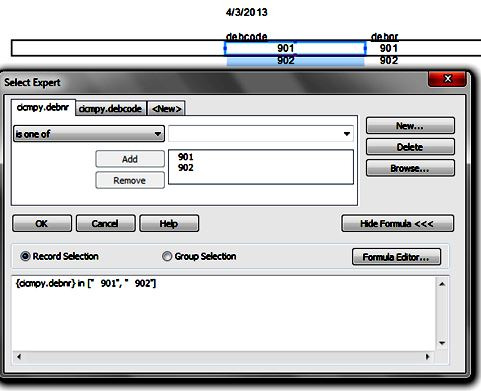 Record selection criteria is set in Crystal Reports in the Select Wizard. 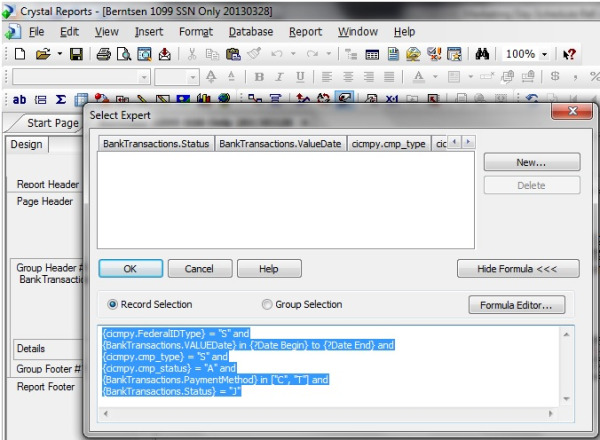 Users can build a custom record select statement using multiple criteria. 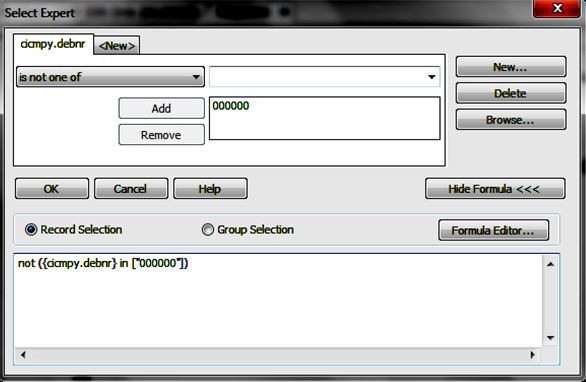 By clicking on the Show Formula button, users can see the Select statement. The NOT IN SQL syntax will not work in Crystal. It has to look like the example below.